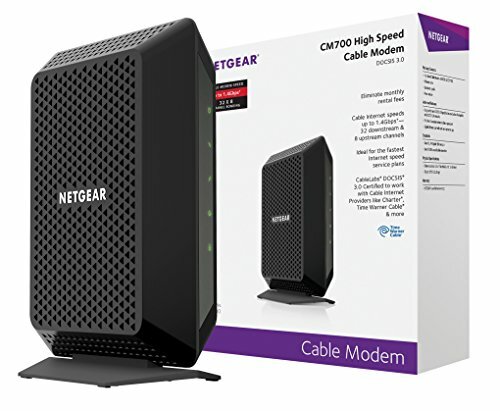 The Netgear CM700 is a standalone Docsis 3.0 modem with internet speeds up to 1.4gbps (although recommended for plans 500mbps and lower). The 32x8 channels, this is one of the fastest Docsis 3.0 modems on the market and should last you many years. The only downside is a single ethernet port. This modem does not come with voice support or built in wifi. We recommend a high quality or mesh router to pair with this modem.